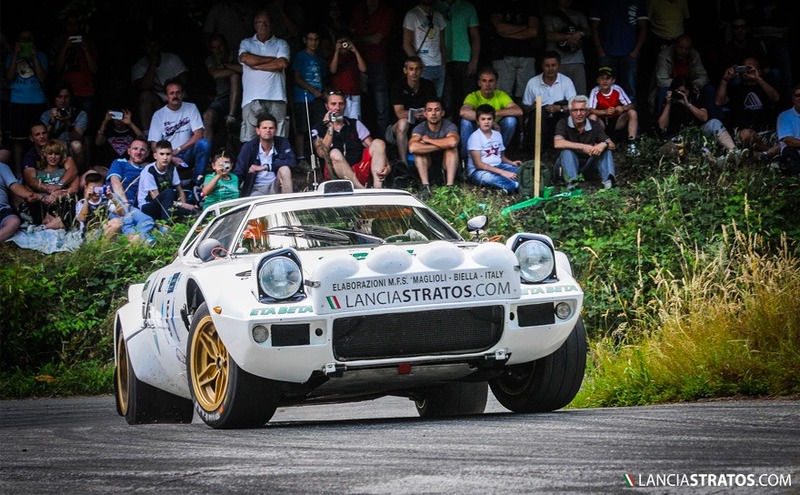 The Stratos back to Biella! For the first time Erik Comas was taking part together with the Corsican co-pilote Jean Noel Vespirini to the Rally della Lana 2014; one of the events of the 2014 Historic Italian rally championship. This was also the first entry with #1826, an ex Maglioli car superbly restored on its full original delivery, by Aldo Zanone in 2012 and never raced since. Among many Porsche, the Lancia 037 of 2012 European Champion Pedro, the Audi Quattro of the local rally driver Negri, the Lancia Stratos Cerci Eta Beta ( ex 1981 Giorgio Prestini matching numbers car in its period specs, springs and dampers included) was among the most authentic historic cars taking part. Negri (Audi Quattro), Chentre (Porsche) and Pedro ( Lancia 037) won a special stage each on day one while the white Stratos was winning both fast SS 3 and SS 5 of Baltigati. 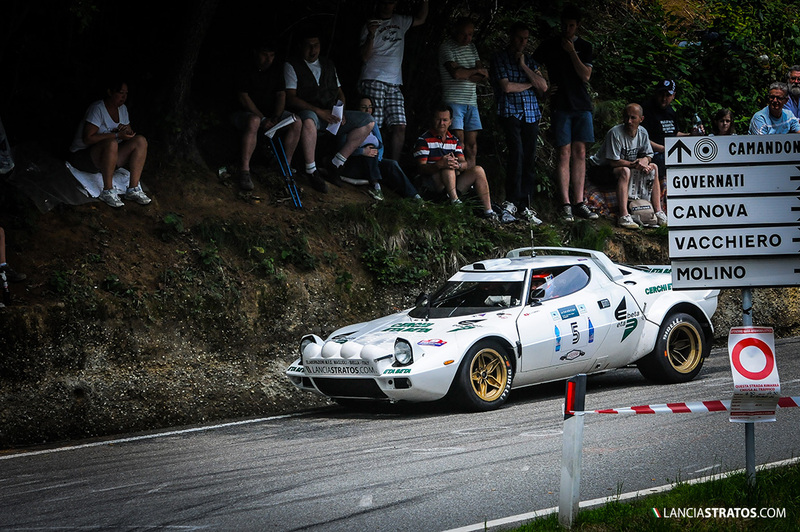 A great performance showing that 40 years after the Stratos is still the ultimate rally car. In the first special stage of day two, a stone came on the gearbox command, blocking it in 4th gear and obliging the crew to retire from the event. However the crew will return in 2015 aiming for the victory.